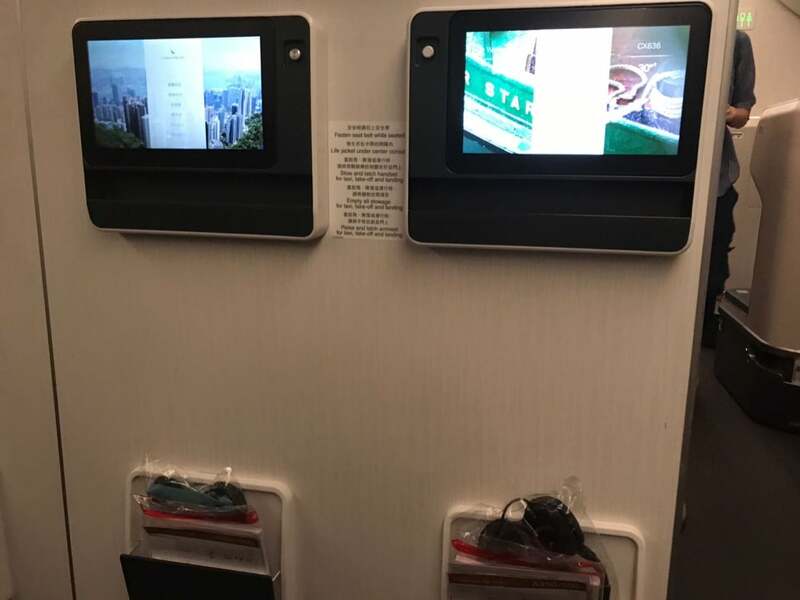 On a recent work trip, last minute schedule changes and overbooking resulted in me taking Cathay Pacific Premium Economy on their A350 plane from Singapore to Hong Kong on a night flight. 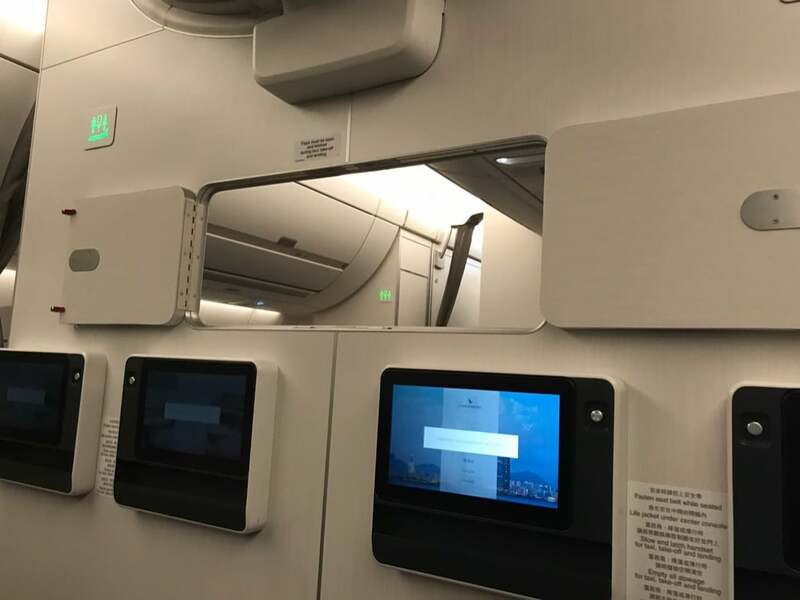 I have also reviewed the new Business Class on the Cathay Pacific A350. 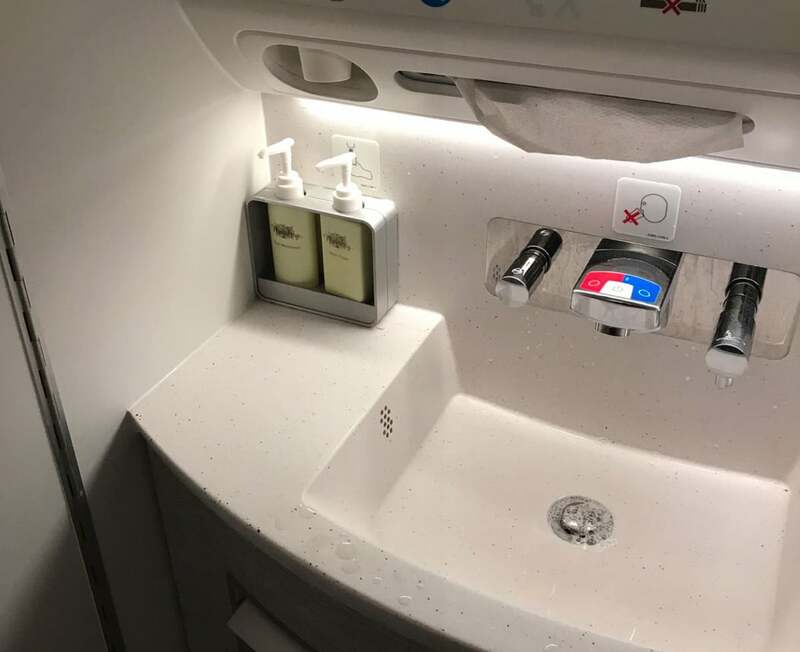 After hanging out at the British Airways Terraces Lounge and the Qantas Lounge for dinner, I went to the gate and boarded the plane. 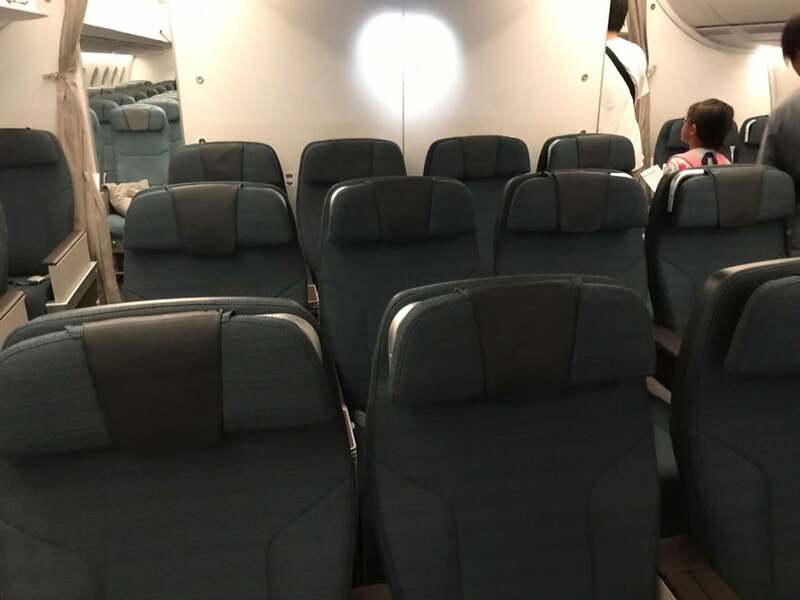 Cathay Pacific Premium Economy has 8 seats in a row, arranged in a 2 4 2 format. There is a total of 28 seats, with 4 rows each on the side, while 3 rows in the middle. 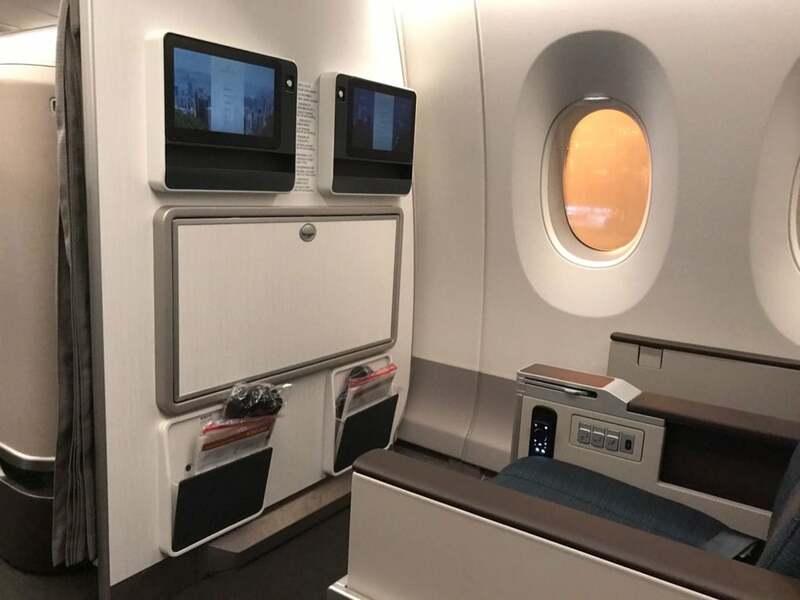 The Premium Economy area is divided into a separate smaller cabin, behind the Business Class and in front of the Economy Class, so there is a sense of privacy. I chose to seat in the first row of Premium Economy for the extra legroom. 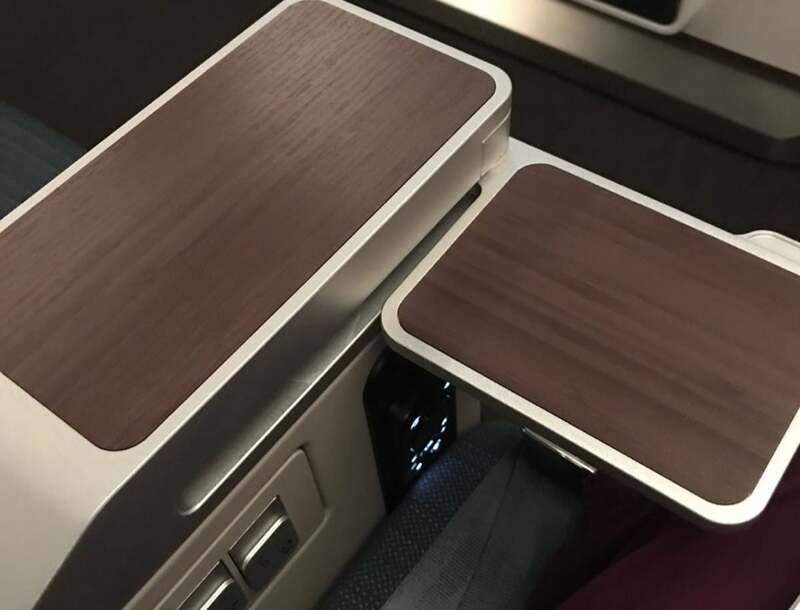 The Premium Economy seat is 18.5 inches – slightly smaller than the 19.5 inches in other Cathay planes. The seat pitch however, is a comfortable 40 inches – 2 inches longer than the other planes. The seat also reclines up to 9 inches. The headrest for the seats are sturdy and offer good support. There is a small study light is neatly concealed behind the right side of the headrest. There is also a leather padded footrest for extra comfort. 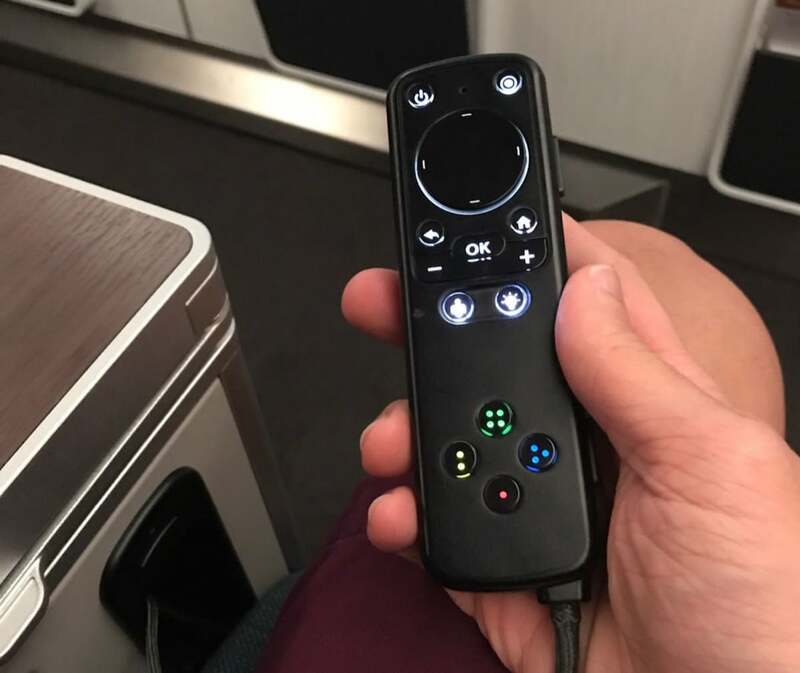 Between the seats, Cathay Pacific also installed a permanent handrest instead of those that can be moved upwards like in economy class. 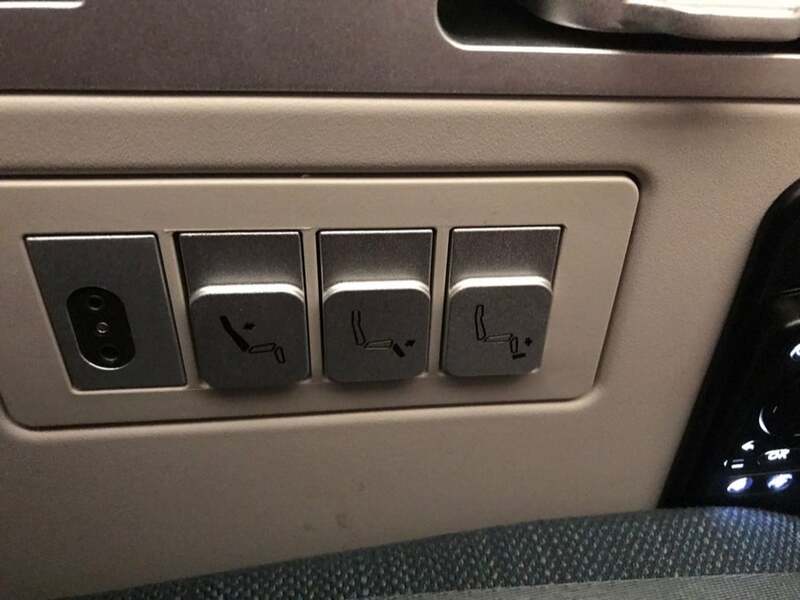 You can still raise and lower the armrest on the side if necessary. On the permanent hand rest are 2 USB power sockets and 2 multi-region AC power supplies. The sides of the handrest is also thoughtfully designed. 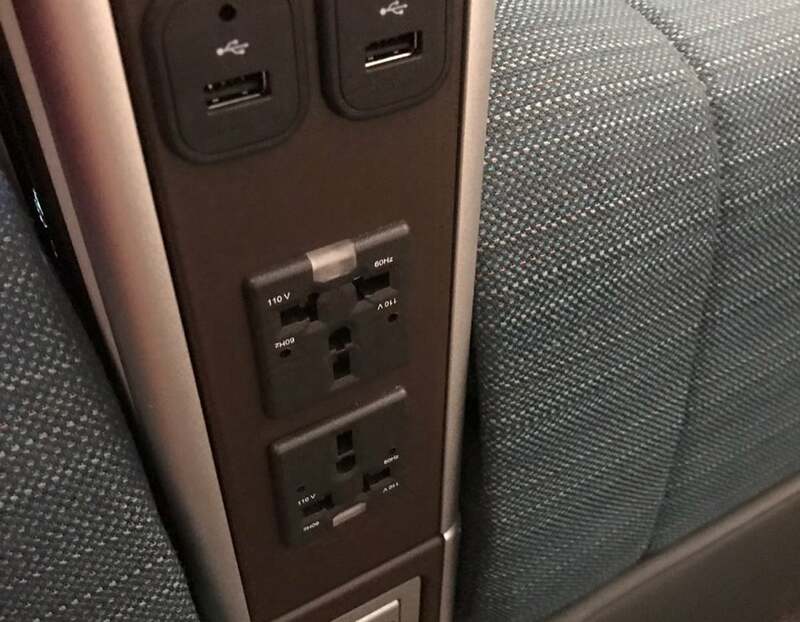 On one side, there is a small fold out drink table, and below that are the seat control buttons and a small storage area for tablets or smaller laptops. On the other side is the remote control for the TV. 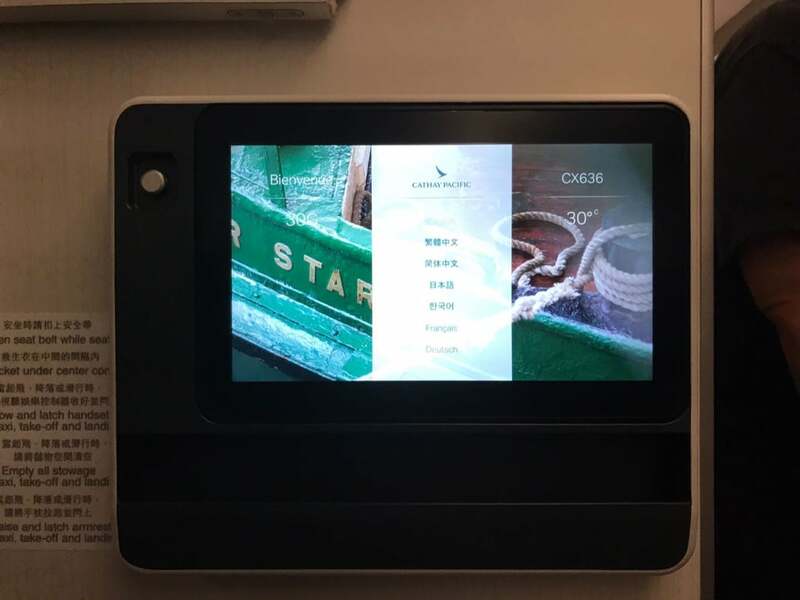 The touchscreen display for Premium Economy is 12.1 inches, and offers Cathay Pacific’s award-winning StudioCX entertainment system. There are literally thousands of hours of entertainment options, and for this flight, I was just watching some comedy series. Premium Economy also offers a generic Cathay branded noise cancelling headphones that were similar to those in Business Class. As this was a short haul flight, there was no welcome drink or amenity kits. There was also no pillows or blankets placed on the seats, although I think they were readily provided on demand if requested. Shortly after boarding, we pushed back and departed at about 8:15 PM at night. Soon, the meal service began. I was not hungry, as I had already eaten in the lounge. 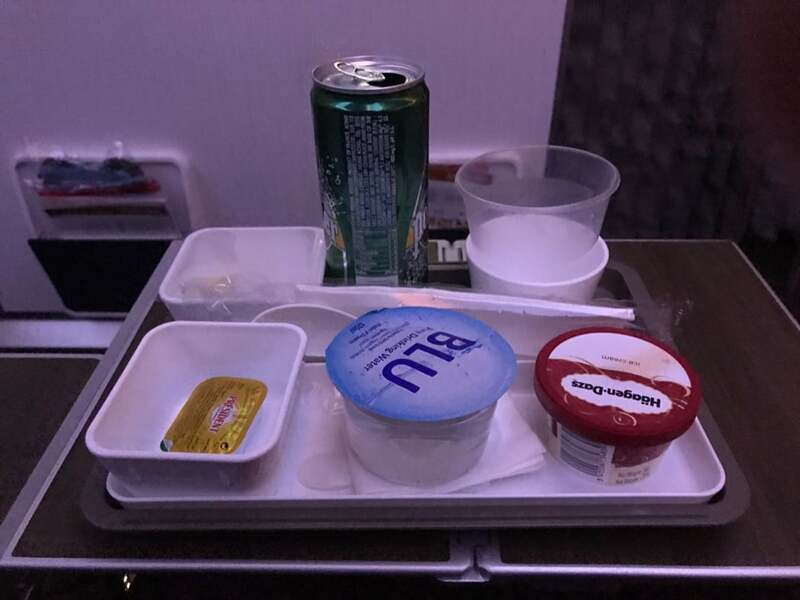 As such, I only requested for normal water, sparkling water and Haagen Dazs ice cream for this flight. Normally, the meal service will consist of bread, a bowl of appetizers, and a choice of Western or Eastern main course. The flight landed in Hong Kong shortly after midnight. 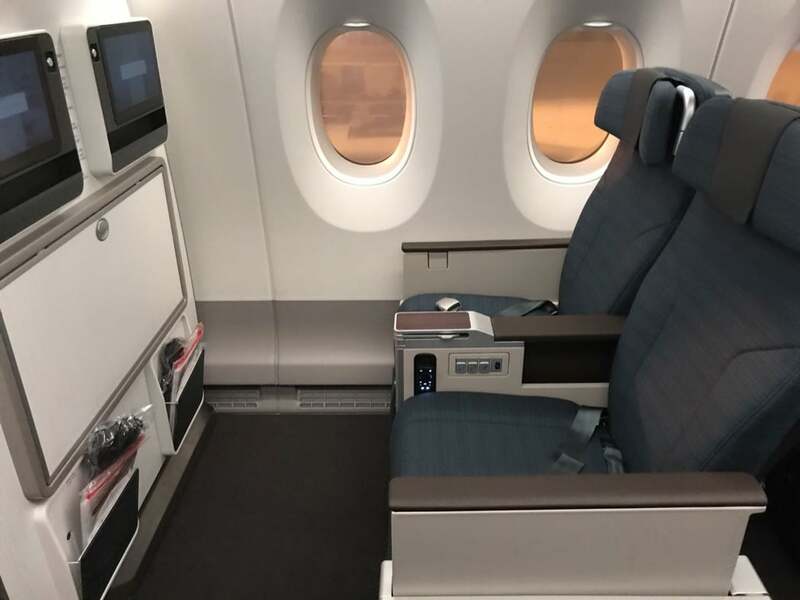 Overall, I think that Cathay Pacific Premium Economy is a solid product that is comfortable and offers good value. I would not mind taking it again for personal travels. 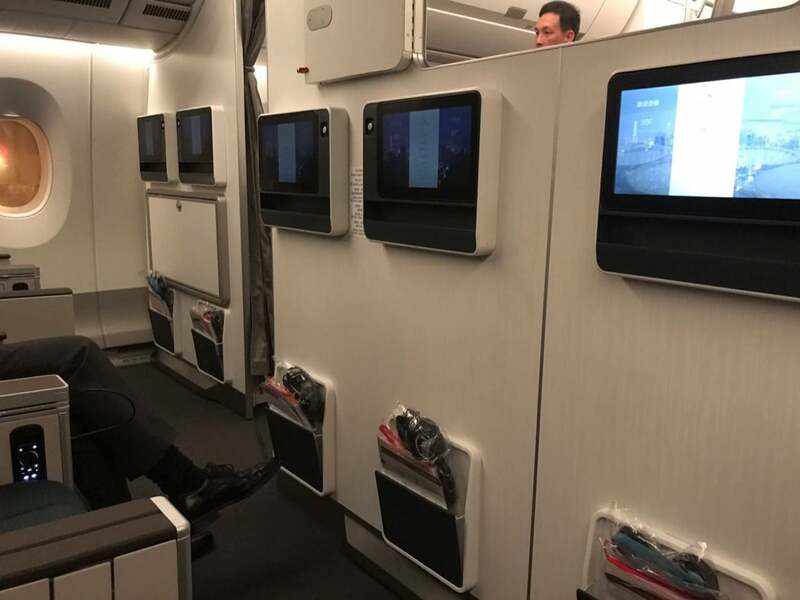 You can read all my Cathay Pacific Business Class flight reviews and my First Class reviews.